NIAGARA-ON-THE-LAKE, ON – The Exchange Brewery has announced that one of its flagship beers is now available at LCBO locations in Ontario. This craft beer is a Belgian Strong Golden Ale, fermented with the brewery’s house Belgian Ale yeast and aged in French oak barrels from Pearl Morissette Winery, with brettanomyces, for three months. Dry and easy drinking despite its complexity, the + Golden Ale blends together notes of pineapple, coconut and vanilla, complemented with layers of funk and subtle spices of pepper and clove. 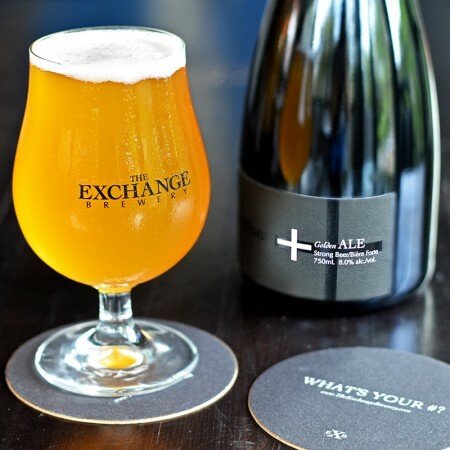 The Exchange + Golden Ale is available at select LCBO stores, retailing for $13.50 per 750 ml bottle. It will also continue to be sold at the brewery retail store in Niagara-on-the-Lake.